Continuing our longstanding collaboration, we have been working with Cancer Research UK over the past couple of months to explore the world of virtual reality. Having previously designed their homepage back in 2013, we once again partnered with the charity to assist them with creating a virtual tour of their labs - a first for the charity sector. We paired with interactive developers, Surround Vision; and virtual reality solutions company, Vitae VR, to produce a three and a half minute tour. Our creative team were charged with creating the story and creative vision for the tour and project managed the overall development of the video. Moving from basic biology to clinical trials, the video uses virtual reality technology to deliver a 360-degree, immersive viewing experience from the Manchester Institute. The tour gives viewers the opportunity to see how money from supporters helps life-saving research first-hand. Holograms are used throughout the tour to enhance the narrative, and viewers can also interact with a microscope and look at the type of cell samples, from a piece of tissue to inside the nucleus of a single cancer cell, that Cancer Research UK uses to discover and test new treatments. Cancer Research UK gives around 10,000 of their supporters the opportunity to see inside one of their 20 research centres and institutes each year, but they can only be offered to a limited number of people. They hope to make their lab tours accessible to the public using a free mobile app, giving everyone the opportunity to find out more about their work from the comfort of their homes. We’re really proud to be working with Cancer Research UK again on such an interesting and important project. From a technical point of view, we’re excited to be working with cutting edge products that will help further the charity’s work. 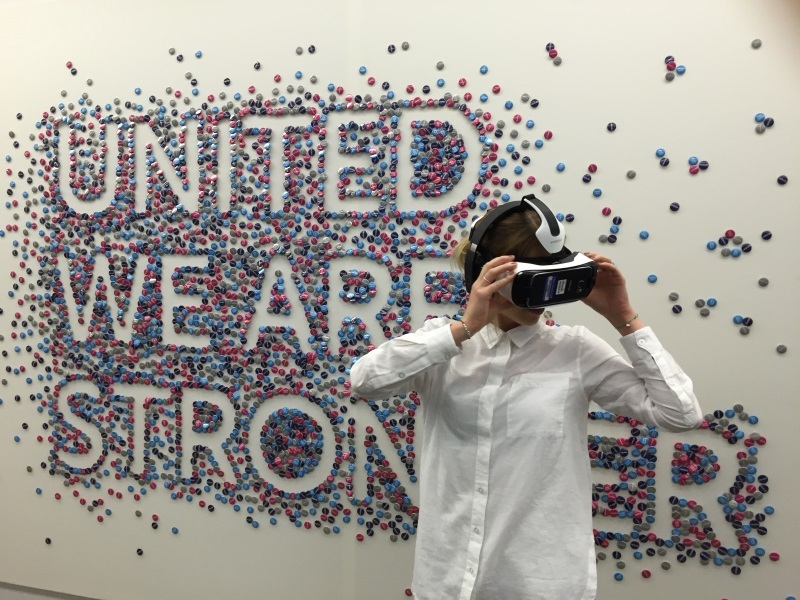 Cancer Research UK will be testing the technology at a number of public events in the coming weeks for people to experience the virtual tour. For further information about Cancer Research UK’s work or to find out how to support the charity, please call 0300 123 1022 or visit www.cancerresearchuk.org.